Frequently people ask about the “standard” stage curtains, size, fabric and finishes. But in reality, there is nothing standard for the stage curtains, as every stage is different in its appearance and dimensions. Moreover, many options are there in fabric and cloth styles, the only restricting thing is your point of view and the limit of the budget you have. 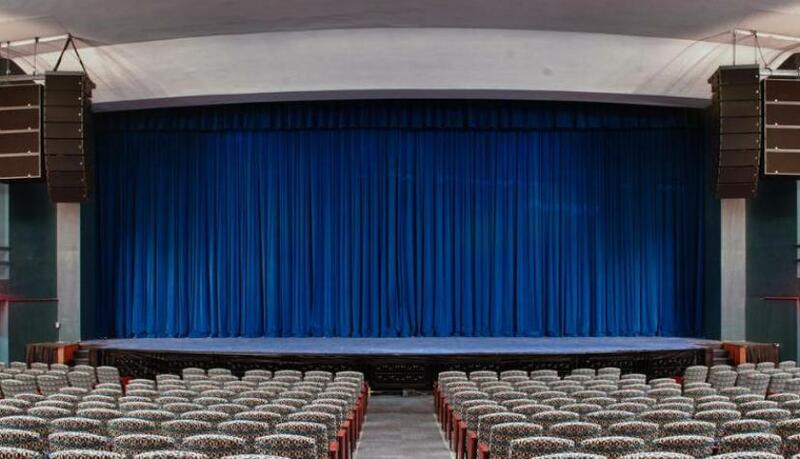 So, whether you are considering to change the drapes of your auditorium or community-centre stage or a stage in your school with the new ones, or perhaps you are thinking about renovating your building or theatre and require the new stage curtains. It appears to be difficult for the people who do not understand the technicalities of theatre to introduce the new drapes and make a change efficiently. But don’t panic, it’s not that troublesome. So, here we are providing you with some details about changing your theatre or any places’ look with our knowledge of stage curtains. This list includes the terms that will help you in choosing the better product according to your requirement. 1. Height- The very first thing you can work on, is the height you need for the curtains. If you do not know the height of the existing curtains, then measure the height and make an approximate idea about the new drapes you want for your theatre or auditorium. This is possible if previous curtains are there. If curtains are not available there when your theatre is very new but track carrier(the wheel-like items that the curtain will hang from) is installed and you require the curtains, in such a case, simply measure the height from the bottom of a track carrier to the floor. One thing that you should keep in mind that the person from your drapery company must have a clear idea about the height of the curtains and your requirements. Because he will be your best supplier as he will provide you with the actual material. 2. Width- As from the above lines, we get to know that height is the essential point. Similarly, width is also an important factor when you are looking for stage curtains. This is necessary because we neither want the extra width nor the less. For this, simply measure the width of the available curtain, if there is no curtain present then measure the track or the width of your stage for which the curtains are required. Height and width are the main dimensions when we are talking about textiles like curtains for decoration and also for other purposes. Thus, these two measures must be very clear in the mind of both the customer and the supplier. 3. Top, Bottom and Side Finishes- While describing the dimensions of the curtains you require, you also need to evaluate the information about the top, bottom and the side finishes you want. It involves the grommets, S-hooks, etc you require for your curtains. These will give your curtains a different look. If you don't confirm then your supplier person of draper company will help you in selecting the one. 4. Fullness in pleating- Pleating means the folds. As we are discussing curtains, so folding of curtains is also important. Whether the curtain is folded or not it must look fine because it plays a vital role for the people who are looking at it. The one thing you can do is that you should not exactly count the fullness just have a rough idea about this and that’s enough. You can also get the idea of fullness by knowing the width of the drape you have. For example, if the drapery width as measured at the top is 10 feet, and the width as measured at the bottom is 15 feet, then 15/10=1.5, making the fullness 50%. But again you can ask your supplier and he/she will be going to help you in a better way as they are experts in it because it is their daily job. 5. Fabric- In general, theatrical velours are likely to be used traditionally for the stage curtains. But with time, the tradition is changing day by day and people have many more options which were not present historically. The only thing you should consider first is the budget you have. It is not necessary that better fabrics are always costly. Sometimes the drape you choose according to your requirements may also be affordable. It’s just about the search and the knowledge you have about the cloth used for the curtains. So, my suggestion for the reader of this blog is that you must search first about the fabric you need and check the price accurately in different supplier agencies or companies. 6. Lining- Mostly people think that lining is not the essential part to be considered. But it is similarly the essential concern point when we want the stage curtains for our theatres and auditoriums or elsewhere you want them. It is completely up to you that you want the new drapes with linings or not. Basically, the lining is used to provide light blockage, protect the face fabric and give a more finished look. There may be many other benefits, these ones are important in my view. So these are some discussion points according to me, hope that these are helpful for the readers of this blog who wants to make a change in their locations with beautiful looking curtains.